The company was started by and is owned and operated by Kent Fisher. As a scaffolder, Kent was constantly frustrated by the unavailability of cost effective scaffold tools and equipment. Recognising that tools and belts do not last forever and are constantly lost, stolen, left behind or sold for beer money, Kent made a bulk purchase of hammers, keys and belts for sale to local scaffolders—the rest is history. “We order the couplers at 4.30 on Thursday as we needed them for the job ASAP. They were delivered at 7.00 am the next morning, fantastic service.” – RON. “I’m a very hard bloke to please and I’m not interested in excuses, right or wrong. 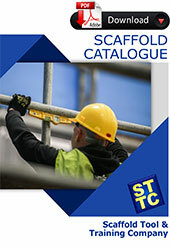 The Scaffold Tool Company posted out the tools as requested and they arrived on time.” – CRAIG. “We had some difficulty tracking a payment we had made but once Katie got on to it was fixed in a Jiffy. Thanks Katie.” – ALBERT. “Good tools at good prices ,great service ,what else can I say!” – TOM.